He accepted the £20,000 award at a ceremony at the Roundhouse in Camden Town, north London. Speaking at the awards, he thanked his parents for teaching him to be "self-sufficient". He beat 11 other acts including David Bowie and bookies favourite Laura Mvula. 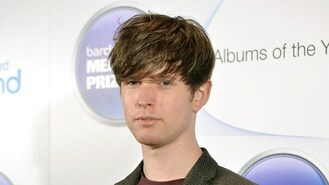 Other nominees included previous winners Arctic Monkeys and singer-songwriter Jake Bugg. The £20,000 prize is open to British and Irish acts and aims to reward the best album of the year.